Russia’s box office revenue for 2015 failed to reach $1 billion for the first time since 2010 due to the weak ruble, according to a report by Kinobusiness Today. Although box office revenue in rubles set a new record in 2015, seeing an increase of 4 per cent since 2014, the weak state of the ruble meant that this success did not translate into record-breaking revenue in US dollars. In 2015, the average exchange rate was 62.5 rubles for one US dollar, compared with 36 rubles in 2014. 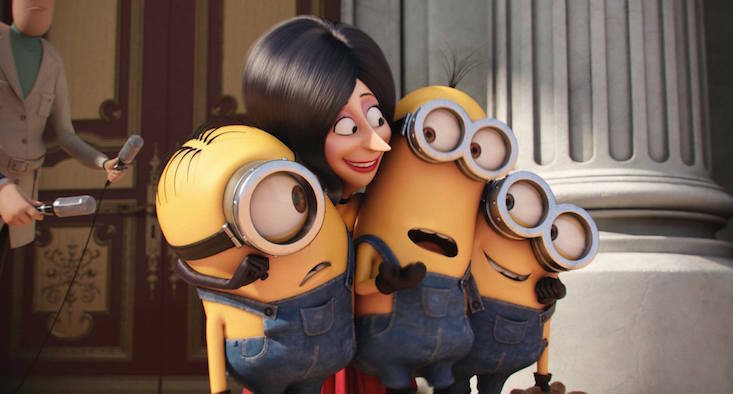 The year's top-grossing movie in rubles was Minions, which took in 1.9 billion rubles ($32.8 million), but the fluctuating exchange rate saw Avengers: Age of Ultron take in only 1.7 billion rubles but come out on top in terms of dollar revenue, grossing $33.3 million. Despite government attempts to bolster the success of domestic films at the box office, no Russian film made the top ten, with the share of Russian films dropping to 16.4 per cent, down from 17 per cent in 2014 and 19 per cent in 2013.